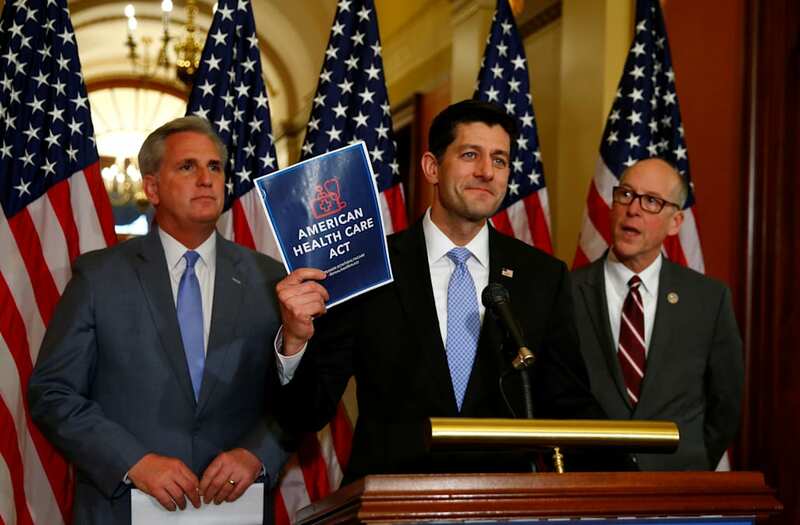 "This bill, the American Health Care Act, it keeps our promise to repeal and replace Obamacare," House Speaker Paul Ryan said at a press conference Tuesday. And it'll cost nearly $600 billion over the next decade, according to Congress' Joint Committee on Taxation. I have been told that the House Obamacare bill is under lock & key, in a secure location, & not available for me or the public to view. @RandPaul This is unacceptable. This is the biggest issue before Congress and the American people right now. @RandPaul What is the House leadership trying to hide? My guess is, they are trying to hide their "Obamacare Lite" approach. @RandPaul And I call on them to make this process transparent and to let the sunshine in. Today. Most of that comes from the repealing or delaying of taxes imposed under the Affordable Care Act. According to the committee, repealing the 3.8 percent net investment income tax would be the most costly, totaling just under $158 billion over 10 years. The tax applies to high-income individuals as well as estates and trusts. The bill would also delay the implementation of the so-called Cadillac Tax from 2020 to 2025. It's a 40 percent tax on employers who provide high-cost insurance to employees. The committee estimates it would cost just shy of $49 billion over 10 years.